Back in 2010, then Florida gubernatorial candidate Rick Scott was quoted as saying, “We have over 700,000 illegal immigrants in the state. They’re costing us billions of dollars and they’re taking legal residents’ jobs.” Oh, how the times have changed. Not in terms of illegal immigration and its effect on law abiding citizens in the State of Florida, but the perspective of the now-Governor Rick Scott. Oh where, oh where has Rick Scott gone? Where, oh where can he be? Well, folks, he is here, and like so many politicians in the Republican Party, he is claiming to have evolved on the issue of illegal immigration. In fact, he is now so comfortable with it that as I write this, he has signed a controversial piece of legislation recently passed by the state Legislature and is preparing to put his signature on another. The first, H.B. 755, which he signed Monday, allows illegal aliens to obtain a license to practice law in Florida. The second, H.B. 851, would grant in-state tuition to illegal alien students who attend a Florida high school for at least three years and graduate. How does all of this line up with his 2010 election campaign call for a crackdown on illegal immigration and support for an Arizona style immigration law? As recently as 2013 the governor had vetoed legislation that would have given illegal immigrant’s driver’s licenses. 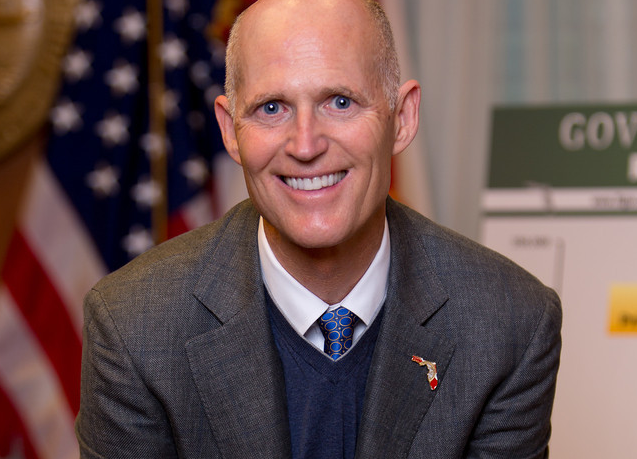 It is clear that Governor Scott has developed amnesia in terms of his previous positions which has resulted in him becoming a man who follows the flow of the political wind just like his opponent, former governor, former republican, former independent, and for the time being democrat Charlie Crist. 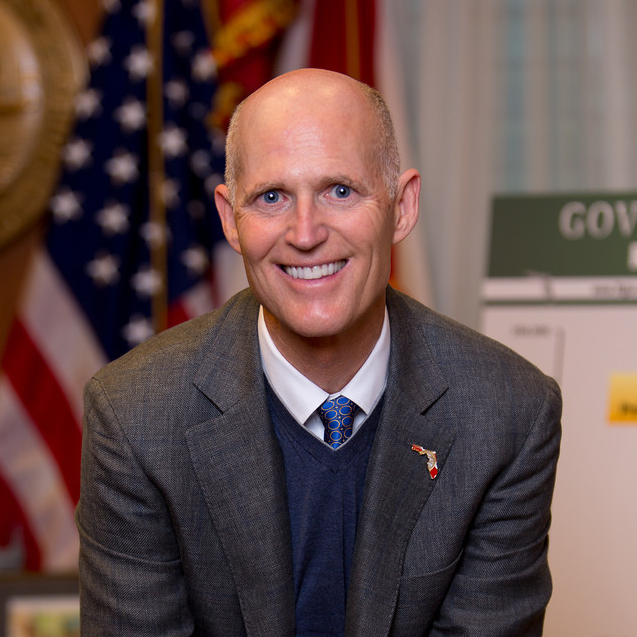 Governor Scott, stand on principle and do not abandon the rule of law. To pander to a certain demographic by ignoring the law and offering rewards for breaking it calls into question the whole purpose of even having laws. You make me sick, Scott! Remember, the pen is mightier than the sword and come November ….I’ll show you just how much! Please, will a man or woman of character please stand up! I am hungry for a person of character and a moral compass to lead our nation. lie about your election promises and create more “voters” , SHAME ON YOU! Looks like he drank the Kool-Aid. What else is new? Our politicians, from the President down to the locals, are disregarding, breaking, ignoring, and changing the laws to suit their ideology. They think they are above the law and do not enforce nor obey it..
Might as well take the Border Patrol of the border and open it up. Can’t understand why we want to give the country away. And yet another Rhino steps out of the shadows and into the sunlight. Scott joined the LIAR Rubio’s quest to raise campaign money and secure a high paying job once out of office. Sadly I believed both, I waved signs made phone calls and attended rallies in their support only to find that we are expendable along with our state and nation. I vote for no one who has nothing but contempt for the hard working struggling families who only want to work and feed their families. Two reasons for amnesties and mass immigration to drive down wages and change the make up of voters neither will build a better stronger America both will add billions to the treasure chests of those buying our political leaders. Makes you feel betrayed, doesn’t it. I supported Dean Heller (NV). He caved and voted for S744. $100 million in pork to promote tourism, beneficial to the powerful casinos, was attached to S744. He sold out and I won’t forget it. Scott said he was for mandatory e-verify for every job when he ran. Rubio was against any amnesty. Both changed their tune once they got in office. Somehow,we as the people must take our country back. WE pay and pay and pay. I think our government,from top to bottom has to stop all forms of welfare in any form for six months and then sort it all out. Make all young able bodied people work if they want to eat. Stop all the free cars, free rent, free phones, free speech that we PAYERS don’t have any longer. There has got to be a way out of this mess! Coming up on next weeks show; What we should do to all the properties,estates,and ill gotten gains from the crooked politicians that stole our social security nest egg. Have a good day. I am very disappointed in Gov Scot. Thought he was doing what was right and good for Florida. What a shame! A lot of conservatives worked So Very Hard, supporting him, and through financial support. They surely feel betrayed! Yes Shame on you governor!